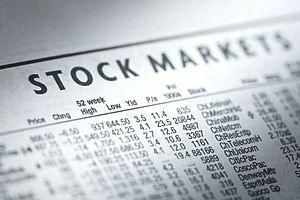 An investor should treat each of his or her stock purchases as if they were going to buy the entire company. In most cases, you don't need to worry about the economy or even the stock market as a whole. The only requirements of a relatively successful investor are the ability to value a business and the right psychological approach to stock prices. The second of these valuable skills is firmly established in this portion by explaining the concept of Ben Graham's "Mr. Market", the famous metaphor created by the father of value investing Benjamin Graham. This relatively simple metaphor will forever change the way you look at stock prices, and if employed correctly, increase your investment returns noticeably. The concept of Mr. Market goes something like this: imagine you are partners in a private business with a man named Mr. Market. Each day, he comes to your office or home and offers to buy your interest in the company or sell you his [the choice is yours]. The catch is, Mr. Market is an emotional wreck. At times, he suffers from excessive highs and at others, suicidal lows. When he is on one of his manic highs, his offering price for the business is high as well, because everything in his world at the time is cheery. His outlook for the company is wonderful, so he is only willing to sell you his stake in the company at a premium. At other times, his mood goes south and all he sees is a dismal future for the company. In fact, he is so concerned, he is willing to sell you his part of the company for far less than it is worth. All the while, the underlying value of the company may not have changed - just Mr. Market's mood. The best part of this entire arrangement: you are free to ignore him if you don't like his price. The next day, he'll show up at your door with a new one. For your interest, the more manic-depressive he is, the more opportunity you will have to take advantage of him [don't worry, he doesn't have feelings or mind being taken advantage of.] As long as you have a strong conviction of what the company is really worth, you will be able to look at Mr. Market's offers and reject or accept them. The choice is yours. This is exactly how the intelligent investor should look at the stock market - each security that is traded is merely a part of a business. Each morning, when you open up the newspaper or turn on CNBC, you can find Mr. Market's prices. It is your choice whether or not to act on them and buy or sell. If you find a company that he is offering for less than it is worth, take advantage of him and load up on it. Sure enough, as long as the company is fundamentally sound, one day he will come back under the sway of a manic high and offer to buy the same company from you for a much higher price. By thinking of stock prices in this way - as mere quotes from an emotionally unstable business partner - you are free from the emotional attachment most investors feel toward rising and falling stock prices. Before long, when you are looking to buy a stock you will welcome falling prices. The only time you want to invite high stock prices is when you are eager to sell your securities for some reason. Thankfully, in most cases [except those caused by "Life" which we discussed earlier], you are free to wait out Mr. Market's emotional roller coaster until he offers a price that you consider equal to or higher than intrinsic value. This is perhaps your greatest advantage in your investments. This page is part of Investing Lesson 2 - What Makes Stocks Become Over or Under Valued.